Multiplay, the organiser of the UK’s largest gaming festival, today reveals that global YouTube sensation Dan TDM will appear at Insomnia59, topping a stellar line-up of popular YouTube stars with a combined subscription base of 22 million people. Dan TDM, world-famous for his Minecraft vlogging and live stage touring, will be appearing on the Insomnia main stage once on the Saturday and again on the Sunday, with a new and exclusive 45 minute session produced especially for Insomnia by Endemol Shine UK, the producers and creators of Dan TDM On Tour. Other confirmed YouTubers in attendance include @real8bitgaming, @marzbargaming, @Razzbowski and @ThePrenti, @yammy_xox, @gizzy14gazza, @samgladiator, @GameboyLuke, @OMGitsfirefoxx and @LDShadowLady. All will be available for meet and greets, with Dan TDM visiting on Saturday and Sunday to meet fans and perform on stage. New to Insomnia59 will be the first ever Ultimate Gamer competition, which will seek to find the next big gaming YouTube star. The competition stands to propel budding YouTubers into the realms of YouTube stardom, with the winner taking home £5,000 worth of prizes. Applicants can apply through the Insomnia webpage and the heats will take place at i59, with a panel of experts judging and determining the best in show. Continuing its rich tradition of bringing exciting first plays to the UK audience, i59 will be the first place British gamers can get their hands on Syren, a new VR title from Hammerhead, which will be playable from the dedicated VR and Technology section featuring Oculus Rift, Playstation VR and many more. This will be accompanied by three Hypixel games, which include Sky Wars, Walls and Parkour, not to mention all the biggest titles available this Christmas such as Call of Duty, FIFA 17, Gears of War 4 and Battlefield 1. Insomnia59 will be taking place at The NEC, Birmingham, 9-11 December, 2016 and are available online from £20, with BYOC tickets costing £99. Tickets are available at: https://insomniagamingfestival.com/tickets/. Multiplay, organiser of the UK’s largest gaming festival, Insomnia, and a subsidiary of GAME Digital plc (“GAME Digital”), the UK’s leading video gaming specialist, today announced a new event partnership for Insomnia57, with Twitter, showcasing two apps throughout the event, as well as providing enhancements to broaden online conversations at Insomnia57. Twitter, which reaches over 320 million monthly active users, is bringing two of its new, exclusive apps to the event: Q&A and Challenger. After a successful field test at Insomnia56, Twitter is returning to fully integrate the apps for the duration of the gaming event for the first time. The apps will help users to connect, share and engage with their favourite content across Insomnia57 through dedicated channels, so everyone can easily join the conversation. 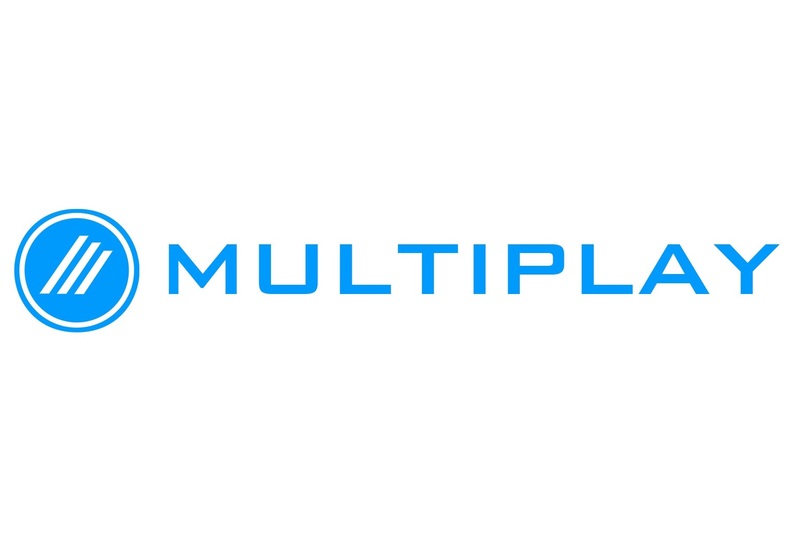 Multiplay, which already sees Twitter as one of its main channels of communication to reach the Insomnia community, will be strengthening this connection throughout the festival. As well as using the exclusive apps, Multiplay will be deepening the conversation on Twitter, using data visualisation to showcase and engage with their social audiences in real-time. Twitter will help bring to their attention live, branded and curated conversations, helping Multiplay amplify Insomnia57 through on-screen activation and audience participations from platforms. Tapping into Twitter’s first-hand experience, Multiplay will ensure visitors, special guests and Insomnia staff will be able to effortlessly socialise with one another in a dedicated hub of online activity. “Some of the biggest spikes in conversation on Twitter are driven by gaming – it’s the ultimate platform for people to connect on a global scale. Arming Insomnia57 with our talent apps is the perfect way to harness the conversation even more across that weekend of activity, and we can’t wait to see the results,” said Julia White, Media Partnerships, Twitter UK. Q&A App is exclusive to special guests, enabling YouTube and Twitch stars attending Insomnia to effortlessly keep in touch with their fans by answering their questions via the app. Available throughout the weekend of Insomnia57, people will be able to read the Q&A conversations on the @MultiplayEvents Twitter account as well as our special guest’s channel. The Challenger App is created for visitors of Insomnia57, where people will be able to search and find members of the Insomnia team around the NEC Birmingham. Visitors will be encouraged to show off their ‘game face’, which will be shared and linked to the @MultiplayEvents Twitter account and stamped with #myi57. Insomnia57 will take place at The NEC Birmingham, 25-28 March, 2016. Tickets for Insomnia57 are on sale now and can be purchased from the official website at https://insomniagamingfestival.com/tickets/. Multiplay, organiser of the UK’s largest gaming festival, Insomnia, and a subsidiary of GAME Digital plc (“GAME Digital”), the UK’s leading video gaming specialist, is pleased to announce that tickets are available now to purchase for the very first in a series of Insomnia Gaming Ireland events taking place at INEC Killarney, 10-13 June. Available now on Ticketmaster, Day tickets for Insomnia Gaming Ireland will start from €12 to €24 and €99 for the Bring Your Own Computer (BYOC) LAN Hall. Also available are package deals which includes tickets and accommodation, these can be purchased through the venue. 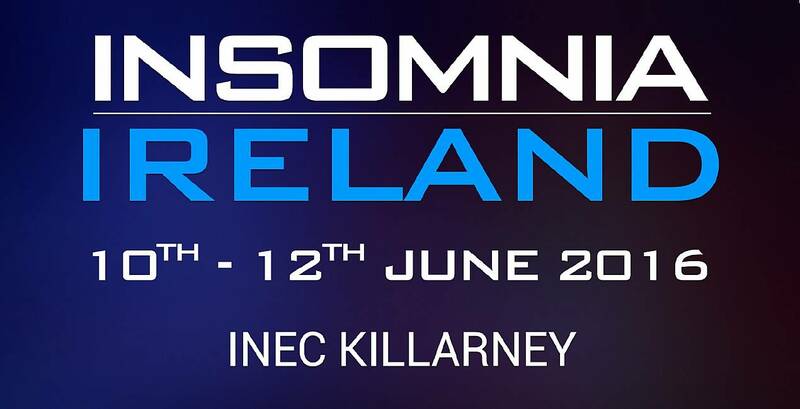 To not miss out on the Insomnia experience, all tickets can be purchased at https://insomniagamingfestival.com/ireland. Visitors to Insomnia Gaming Ireland will be able to play a host of games, enjoy numerous activities and entertainment inside the INEC. Areas include the Bring Your Own Computer (BYOC) LAN Hall; open for 72 hours, hosting 250 people playing multiplayer games with and against each other in a fun and social environment. The Exhibition Hall contains a variety of feature zones and games for all ages. These include a Minecraft Zone, Over 18s area and the Main Stage, where Special Guests will be playing the latest games as well as Panel Talks and Q&A sessions. Special Guests will include ChooChoosGaming, AshDubh, NettyPlays, AmyLee, InTheLittlewood and MiniMuka. Multiplay, organiser of the UK’s largest gaming festival, Insomnia, and subsidiary of GAME Digital plc (“GAME Digital”), the UK’s leading video gaming specialist, is expecting the largest attendance at a Spring Insomnia Gaming Festival, with over 40,000 people looking to head down to the NEC Birmingham on Easter bank holiday weekend, 25-28 March. Insomnia57 announces the very first host of special guests in the form of YouTube’s biggest gaming personalities, as TheSyndicateProject, AmyLee33, TheDiamondMinecart (DanTDM), Netty Plays, ECKOSOLDIER, The Gaming Terroriser, NoughtPointFour and Champwan are all present to participate on stage, either in panel discussions or live gameplay sessions, playing their favourite games. More event information will be revealed in the weeks leading up to Insomnia57, from special guests with YouTube’s biggest stars, eSports tournaments, video games line-up in the exhibition hall, cosplay competition, goodies in the retail zone and much more. Tickets for Insomnia57 are now on sale and can be purchased from the official website at https://insomniagamingfestival.com/tickets/. Thanks to the popularity of Insomnia55 multiplay’s next event is being moved to a larger venue. GAME Digital plc (“GAME Digital”) is delighted to announce that Multiplay, its Esports and Events business and the organiser of Insomnia, the UK’s largest gaming festival, has signed a multi-year deal with the National Exhibition Centre (“NEC”), beginning with Insomnia56, which will take place on 11th – 14th December 2015. Having reached capacity at the Ricoh Arena in Coventry for Insomnia55, which witnessed record visitor numbers of over 36,000 during the four day event, the 3-year agreement with the NEC will provide Multiplay with a significantly enlarged venue from which to support the event’s future growth. Offering over 180,000 square metres of indoor space, up to 20 interconnecting halls and the 15,643 capacity LG Arena on site, the NEC provides around ten times the space of the Ricoh Arena. Multiplay, organiser of the UK’s largest and rapidly growing gaming festival Insomnia, is delighted to unveil the final line-up for Insomnia55. Featuring the UK’s biggest line-up of eSports tournaments, live shows from Youtube’s biggest stars and the most anticipated games of 2015, Insomnia55 will be the biggest and best Insomnia festival to date at the Ricoh Arena from August 28th-31st. Insomnia55 brings attendees closer to the action than ever before, with Microsoft’s stunning Gears of War: Ultimate Edition introducing the original Gears to a whole new audience, while longstanding fans of the 3rd person shooter will relish this remastered classic. Microsoft’s presence doesn’t end there; with Forza Motorsport 6 showcasing the racing enthusiast’s dream of high-octane thrills in some of the world’s most sought after cars. Nintendo makes its Insomnia Gaming Festivals debut, where Fans of Splatoon can hone their skills in preparation for tournaments taking place throughout the weekend. Gamers with a creative streak can realise their vision with Super Mario Maker and fans excited to take control of Fox McCloud once again will be delighted with the addition of Star Fox Zero to Insomnia55’s exhibition floor. Complementing Insomnia’s biggest ever games line-up which includes first plays of FIFA 16, HomeFront: The Revolution, Battleborn and Rock Band 4, Insomia55 also features some of the most loved Youtubers. From Yogscast, Lewis, Sjin, Duncan, Sips, Hannah, Martyn, Hat Films and Turps will be sharing some of their unique insight into gaming culture, while stars such as Syndicate and The Diamond Minecraft return after attending previous Insomnia festivals. First-person shooter enthusiast Ali-A attends for the first time this year and The Sidemen return, featuring KSI, W2S, Vikkstar123, Behzinga, Zerkaa, Miniminter and TBJZL; bringing their unique sense of gaming-focused humour to the event. With Kwebbelkop, Slogoman, The Gaming Lemon and Jelly also attending, Insomnia55 will be the best place to see your favourite stars. Insomnia55, powered by GAME, features more live ‘Lets Play’s’, more exhibition booth gaming, and more interactive gaming content than any Insomnia event to-date. Other regular returning features include the 24hr BYOC (Bring Your Own Computer / Console) LAN areas, the Minecraft zone, Panel Talks, the Indie Zone, the Retro Zone, the Tabletop Gaming Zone, and the burgeoning Retail zone. The impressive growth of the Insomnia series sees Insomnia55 expand with four external Marquees raised to provide an additional 8000sqm space for the UK’s biggest and fastest growing gaming festival. Insomnia55 takes place at the Ricoh Arena over Summer Bank Holiday weekend, Friday, August 28th to Monday, August 31st 2015. Tickets are currently on-sale and are available via http://insomniagamingfestival.com/tickets/. Multiplay, organiser of the UK’s largest and rapidly growing gaming festival Insomnia, is delighted to announce the initial line-up of its upcoming Insomnia55 festival taking place August 28-31 at the Ricoh Arena, Coventry. With billions of views and tens of millions of subscribers, The Yogscast group will be heading to the UK’s home of esports and gaming culture, Insomnia55. Well-known names from the crew such as Lewis, Sjin, Duncan, Sips, Hannah, Martyn, Hat Films and Turps will be sharing some of their unique insight into gaming culture across the event’s three live days. Hugely popular online content creators including Syndicate and The Diamond Minecraft return after attending previous Insomnia festivals, while first-person shooter enthusiast Ali-A attends for the first time this year. Also returning are The Sidemen featuring KSI, W2S, Vikkstar123, Behzinga, Zerkaa, Miniminter and TBJZL, bringing their unique sense of gaming-focused humour to the event. With Kwebbelkop, Slogoman, The Gaming Lemon and Jelly also attending, Insomnia55 will be the only place to see your favourite stars, and with plenty of guests still to be announced, now is the perfect time to book your place at the UK’s biggest gaming festival. At Insomnia55 there will be more live ‘Lets Play’s, more exhibition booth gaming, and more interactive gaming content than any Insomnia event to-date. Other regular returning features include the 24hr BYOC (Bring Your Own Computer / Console) LAN areas, the Minecraft zone, Panel Talks, the Indie Zone, the Retro Zone, the Tabletop Gaming Zone, and the burgeoning Retail zone. Multiplay, organiser of the UK’s biggest gaming festivals, is delighted to announce that Insomnia54 has sold out, and will be attended by more fans than ever before when the show opens April 3rd at the Ricoh Arena in Coventry. With support from exhibitors and sponsors, i54 promises the best in entertainment that fans have come to know and love, but still delivers new zones and introduces brand new content to tens of thousands of attendees over the bank Holiday weekend. For the first time, Sony xdev joins Jagex, Warner Bros, Team17 and many other publishers showing the latest games in the exhibition zone, while indie developers will be highlighted on the Expo stage. Attendees will be able to preview and play upcoming titles such as Carmageddon: Reincarnation, Dark Nexus Arena, Chronicle: RuneScape Legends, LittleBigPlanet 3 and many more. Insomnia54 also features a huge roster of content creators from the worlds of YouTube and Twitch. Famous faces this event include Syndicate of TheSyndicateProject, Omgitsfirefox, Jericho, The Diamond Minecart, The Sidemen including KSI, Calfreezy, Jo Weller, and many more starring in live shows, Q&A sessions, Meet & Greet sessions and more across all three live days.